The detection of causes of performance problems in software systems and the identification of refactoring actions that can remove the problems are complex activities (even in small/medium scale systems). It has been demonstrated that software models can nicely support these activities, especially because they enable the introduction of automation in the detection and refactoring steps. In our recent work we have focused on performance antipattern-based detection and refactoring of software models. However performance antipatterns suffer from the numerous thresholds that occur in their representations and whose binding has to be performed before the detection starts (as for many pattern/antipattern categories). In this paper we introduce an approach that aims at overcoming this limitation. We work in a fuzzy context where threshold values cannot be determined, but only their lower and upper bounds do. On this basis, the detection task produces a list of performance antipatterns along with their probabilities to occur in the model. Several refactoring alternatives can be available to remove each performance antipattern. Our approach associates an estimate of how effective each alternative can be in terms of performance benefits. 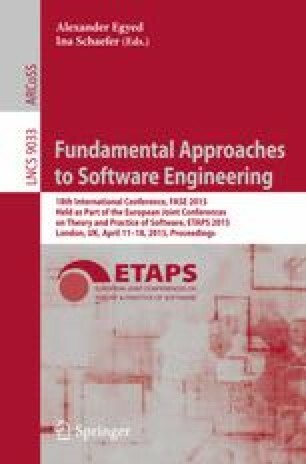 We demonstrate that the joint analysis of antipattern probability and refactoring benefits drives the designers to identify the alternatives that heavily improve the software performance. This work has been partially supported by the European Office of Aerospace Research and Development (EOARD), Grant/Cooperative Agreement (Award no. FA8655-11-1-3055).